August | 2010 | seedLinG! You’re looking at about 10 years worth of books, toys, games, and puzzles that Amy had been saving for the Cortland Preschool, a new West Bucktown school for 3-to-6-year-olds she is currently building at the corner of Cortland and Talman. Anything that couldn’t be washed and dried out was destroyed by the fast-rising water. This is a perfect opportunity for West Bucktowners to band together in a show of support to help out one of our own. Amy is gratefully accepting any and all donations of gently loved preschool-aged books to try and rebuild her library. She is especially looking for the following collections: Jack Ezra Keats, Eric Carle, books/tapes in Spanish, Chinese/Asian folk and fairytales, Mo Willems, Laura Numeroff, Dr. Seuss, and easy reader books like Amelia Bedelia, Henry and Mudge, Paddington Bear, etc. Any offers of assistance will be greatly appreciated and can be forwarded to Amy at aewaldt@hotmail.com. As you know, the west side of Chicago suffered terrible damage and loss as a result of the thunderstorms that hit the area on July 23. Among those hardest hit was our dear Miss Amy Ewaldt, formerly Director of Children’s activities at the Menomonee Club. Some of you may know that Amy left Menomonee this summer to form her own pre-school in Bucktown, the Cortland Pre-School. 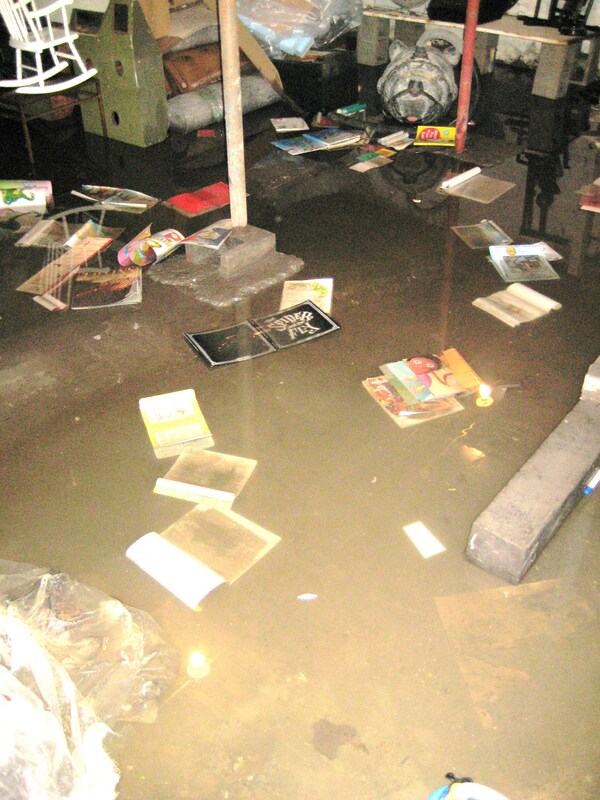 Sadly, the basement of her building took on more than two feet of water, and Amy lost 10 years worth of books, toys, games, and puzzles that she had been saving for her pre-school for three-to six year-olds on the corner of Cortland and Talman. We thought this would be a good opportunity for Old Town neighbors to come together and show our support for Miss Amy, who has enriched the lives of so many of our children. She would so appreciate donations of new or “gently used” books to rebuild her library. You may bring your contributions to the Old Town Triangle building, 1763 N. North Park; and we will see to it that Miss Amy gets them. And, in case you haven’t heard of it, there is a great, newly-opened used book store on Institute Place between Wells and Franklin that sells fabulous books at very reasonable prices. And, all proceeds go to literacy programs in the City. If possible, we’d love to have the books by August 15 so that Amy can get her school open on time.